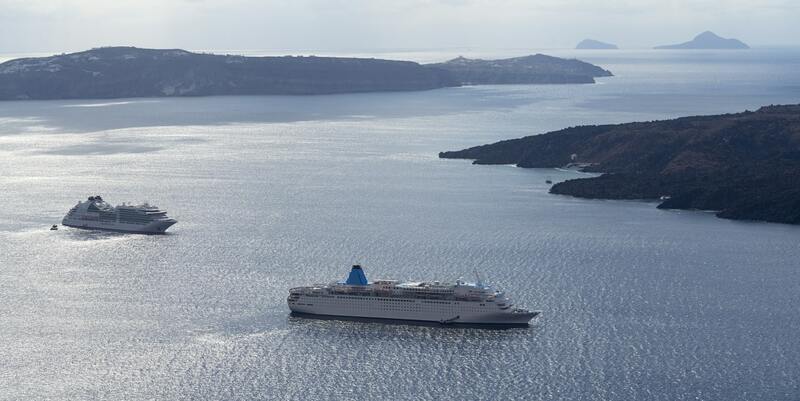 There are at least two ferries departing every day from Athens (Port of Rafina) to Andros. During the high season you can find more than five options of departure. Due to the high number of itineraries per day, you can plan your trip in a very flexible way considering its various options. You can find departures at 7:30, 14:15, 15:15, 16:00 and the last one around 17:30, but during the winter the departures times are a little bit more limited, you have ferries around 7:50 or around 17:30 during the low season. The trip can last from 1.50 to 2 hours. The price of the standard tickets is usually quite affordable, they can go from € 20. The ferry companies that operate at this trip are mostly Golden Star Ferries, SeaJets and Fast Ferries. What is the trip duration from Athens to Andros? Andros is 101 km far from Athens (Port of Rafina). The ferry trip of this route doesn’t take long time, it can take from 1.50 to 2 hours. Island hopping is when you go between different islands by a series of shorter journeys in the place of doing a single journey straight to the destination. This way you can explore and enjoy many more different islands and what each one of them uniquely have to offer. For travelers that want to combine Andros with island-hopping in the rest of Cyclades, Andros is directly connected to Mykonos, Tinos, Syros, Kea (Tzia) and Kythnos. Moreover, there are also ferries from Andros to Paros and Naxos. Andros has some of the most diverse, clean, and calm beaches in the Aegean Sea. Andros is easily overlooked as a touristic destination. As a result, it remains pure, original, and calm. Andros’s long sandy and rocky beaches in the summer are wonderful to look at and dive in. In the winter, Andros has green mountains and beautiful waterfalls to see. In our pages, you can find more useful travel information about Andros.